Learning game with a returning player Scott and his Space Wolves. 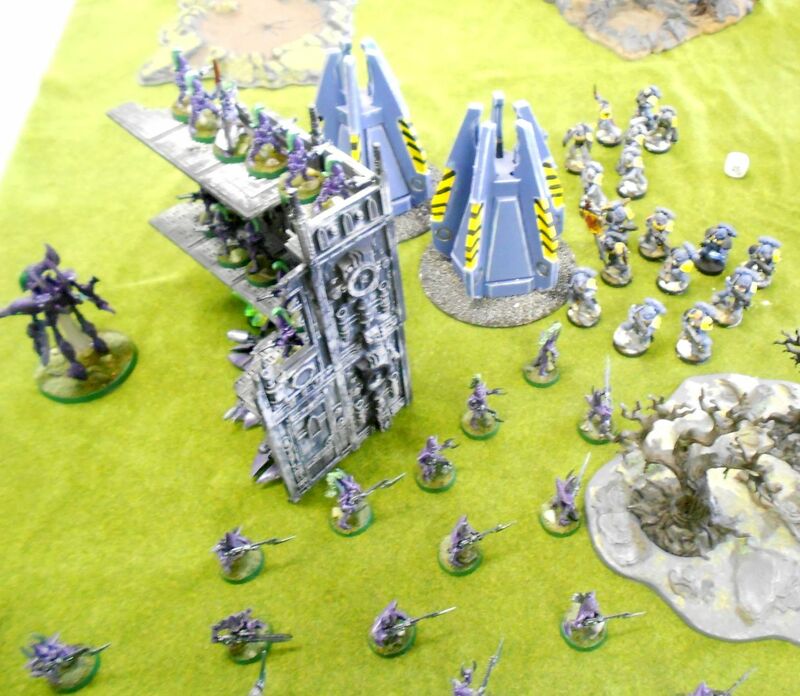 We were playing 1500pts, Emperor's Will (one objective each). I clustered up and dared the wolves to come get me. Here they are! The Space Wolves took out a big chunk of the Dark Eldar squad and some Dire Avengers. In response, the D-cannons erase one squad of Grey Hunters and various fire whittles down the other. 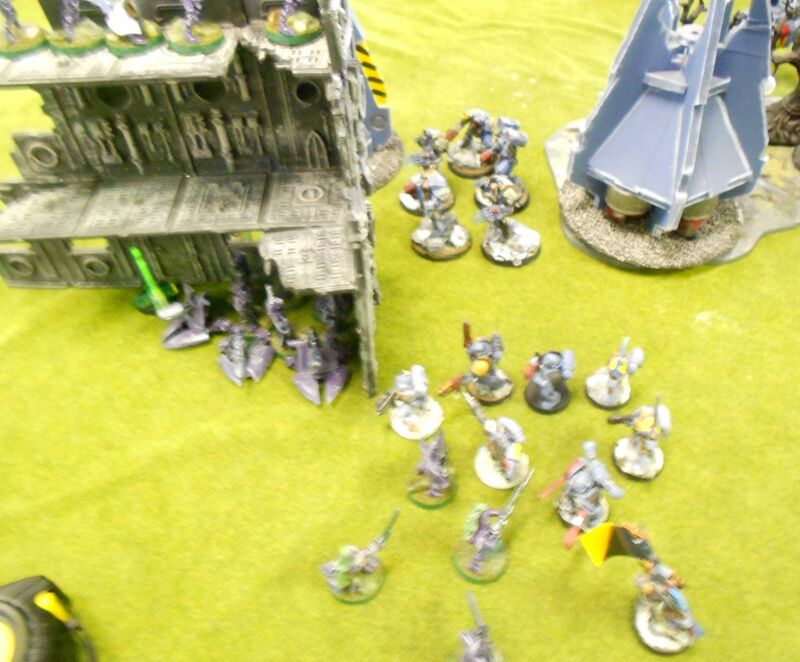 Wraithlord finishes trashing one pod, and Wolf Guard terminators arrive to face him down. 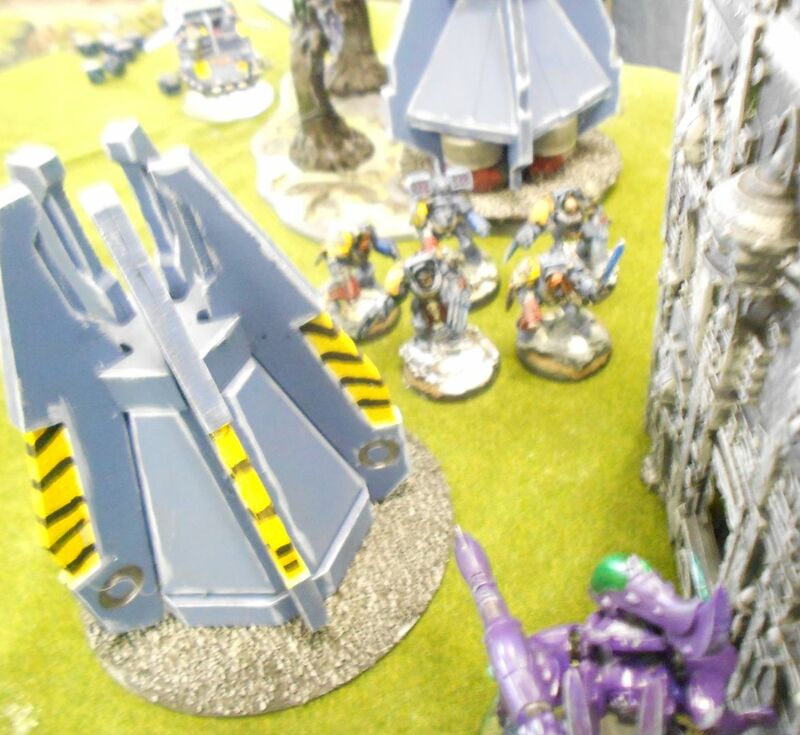 Other Wolf Guard squad along with lord multi-assault into jetbikes, remaining warriors and D-cannons. 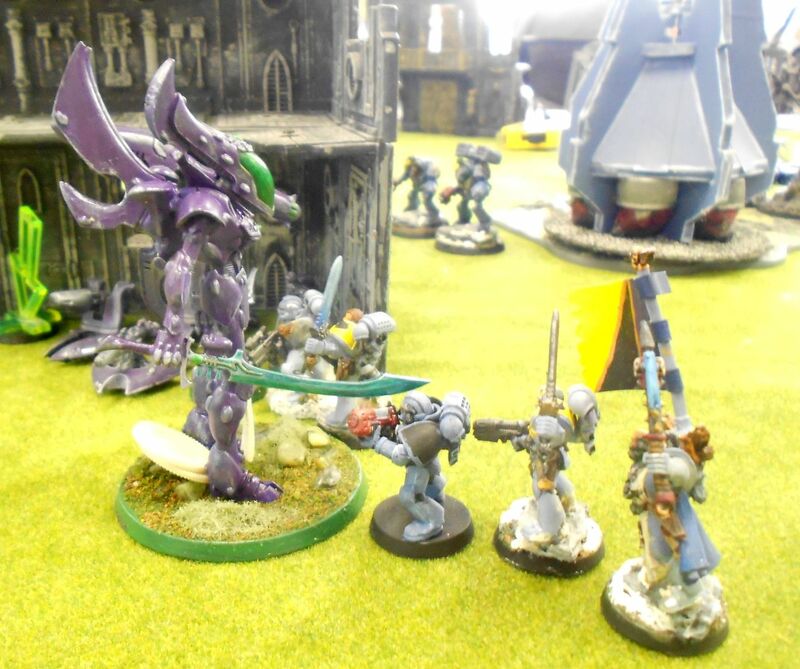 Some marines cut down, but Duke Sliscus runs away, and over time the other Eldar units get whittled down, even with the aid of the Wraithlord, who gets taken down when the surviving terminators join the fray. 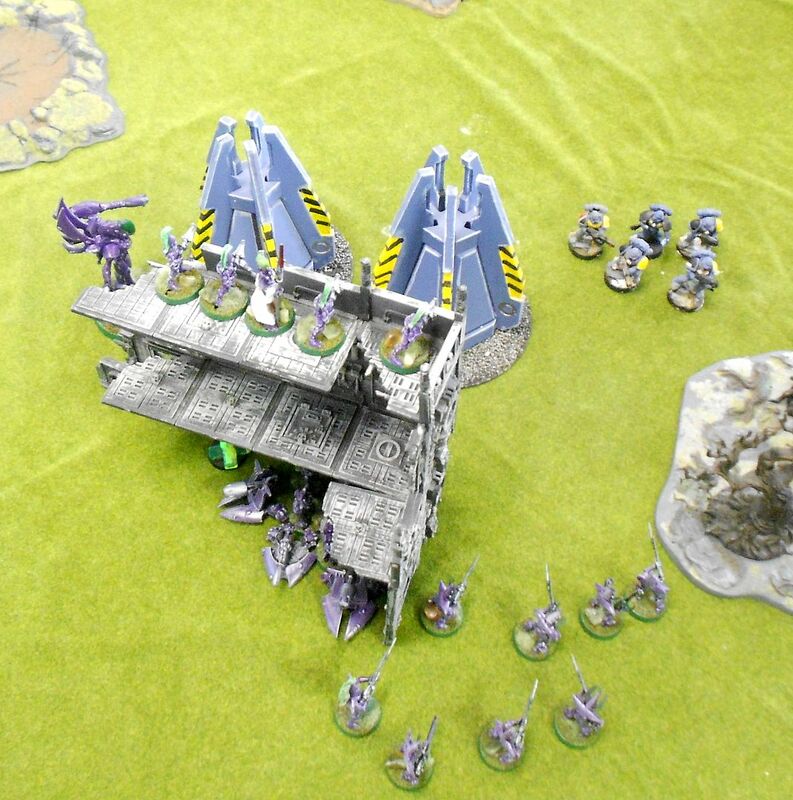 Ultimately the Sons of Russ carried the day, storming up the ruins to clear out the xeno pirates. Warwalkers arrived too far out of position to help, and the Swooping Hawks on the far objective ran afoul of drop-podding Blood Claws. 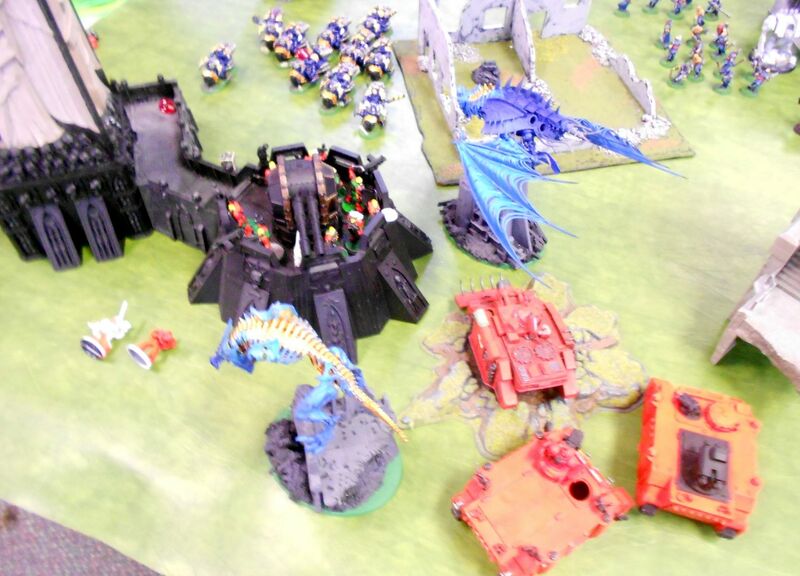 Void Phantoms and Orks vs. more Orks!